As any startup manager can tell you, money is tight. You don’t have a lot of funds in the beginning, and so you have to pay extra close attention to what you’re spending it on. At the same time, you’re trying to grow your business into something larger, so you don’t want to miss out on the best tools. Luckily, there are a wide range of tools available to startups. Because there are so many options, you’re sure to be able to find something that not only makes life easier for your startup, but is also easy to afford. With that in mind, here are 10 affordable tools that you’ll likely want to get for your startup. First up, we have a tool that will help you to build an online store. These days, everyone wants to do their shopping online. The easier you can make it for customers to purchase your products, the better off you’ll be. To do that, you need an online store. However, setting up an online store isn’t as easy as just listing your products online. You need to update stock amounts in real time, process payments, and display product information in a pleasing fashion. With a tool like 3dcart, all of this work becomes much simpler. It comes with a ton of options so you can make your online store look and act just the way you want it to. Best of all, it’s affordable, with their most popular pricing plan coming in at roughly $40/month. You can even try it out for free for 15 days just to see if you like it. Next up is a tool that will help your team get things done. Actioned is a team productivity tool which allows you to create things like task lists, see what other team members are working on, and track your goals. You probably have a lot of different things you’re trying to juggle, and if you don’t have a system for keeping it all in order, you’re going to become overwhelmed. Actioned is free to try, so give it a spin and see if it helps your startup make some sense out of the chaos. Buildfire is a tool that makes it easy to develop apps for both Android and iOS devices. Typically, developing an app from scratch is a costly and time-consuming process. If your startup needs an app in order to serve your customers, you likely don’t have the resources or time to waste. But with Buildfire, you can develop your app more quickly. Now, instead of hiring a team of programmers to work for you for several months, you just have to spend money on one tool. There are even several pricing plans available, so you can decide which features you need and get a plan that suits your budget. It’s now easier than ever for a startup to employ people from all over the world. Since so much work can be done over the Internet, you no longer need to be in the same physical location. However, with increased distance comes a greater difficulty in communicating. Chanty aims to solve that problem. 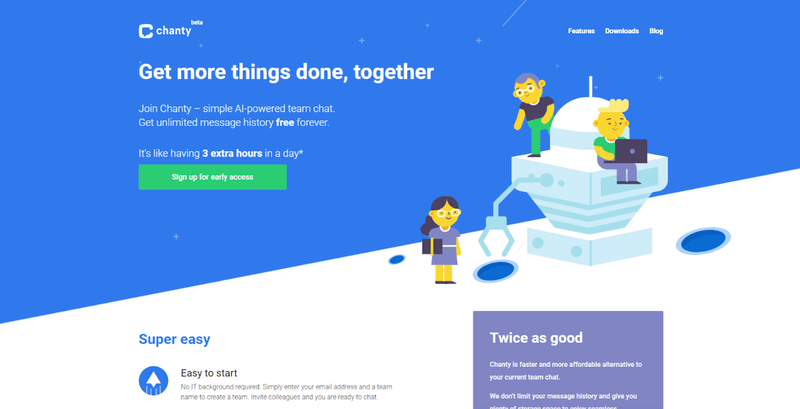 Chanty is a team chat app that allows you to quickly and easily communicate with all of your team members. It comes with features like unlimited message history, so you never lose a conversation. It’s a great Slack alternative and is now open for early access registrations, so sign up while you can. One of the hardest parts of developing software for customers is teaching them how to use it. To do this, you need an extensive knowledge base that can walk your customers through each aspect of your product. Document360 is a tool that helps you to make a knowledge base that is useful for both your customers and your team. Document360 is designed to scale as your product grows larger. With it your team can easily collaborate and edit the document, then publish a helpful knowledge base for your software. Again there are several pricing models, with the cheapest starting at $49/month, so you can choose a plan that fits your needs and budget. It’s almost impossible to have a successful startup these days without a good website. However, many people who begin a startup don’t have the necessary skills to develop their own website. They then need to hire someone to do it, which takes time and money. With DragDropr, you can easily create your own website. It’s drag and drop interface makes it easy to get the website you want with little technological background required. 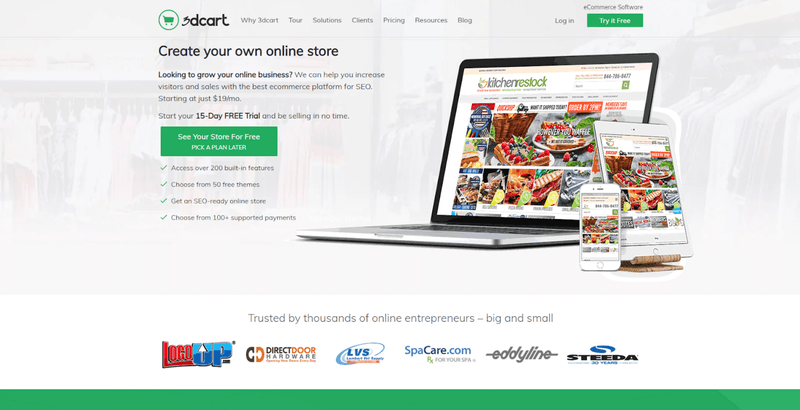 Their cheapest plan starts at just $14.90/month, and even includes full CMS and shop integrations. On top of this, in each of their plans you get the first two months free. Don’t waste your time staring at lines of HTML code you don’t understand – use a tool like DragDropr to make the job easy. No startup is going to grow without a constant influx of new customers. There are a ton of people out there who would likely be interested in your product or service, you just need to reach out to them and convert them. This is called generating leads, and you’ll want some decent software to help you do it. OptinMonster is the perfect tool to help you monetize your website traffic. After putting in work to get someone to visit your website, you don’t want to squander the opportunity by having them leave without converting into a sale. OptinMonster offers a ton of features, such as helping you to craft a compelling incentive, visitor targeting, and real-time analytics. You can add OptinMonster to your website for a small monthly fee, which you’re sure to earn back quickly thanks to its help. Once you have converted a customer, it’s important to know if they are satisfied with the experience. Retently uses the NPS (Net Promoter Score) to determine how likely your customers are to become repeat customers or recommend your product to others. With Retently you can see how you’re doing with your customers and find ways to earn more customer loyalty. A business won’t survive if it needs to rely on generating new customers all the time, so focusing on creating return customers is a great long term goal. The most basic plan comes in at $39/month, and even comes with a free trial to see if you like it. Another customer loyalty software, Say2b helps to generate return customers by offering them gifts and discounts. Here’s how it works: every new customer is instantly entered into the customer loyalty program. Each time they return, they are given “coins”. Once they’ve generated enough coins, they can be used on things like gifts or discounts. It’s a great way to reward people for coming back to your business, all for a low monthly price. In fact, the lowest priced plan on Say2b is completely free and comes with plenty of features, so you can get a sense if the product works for you before committing any funds. Finally, we have a tool that is perfect for WordPress users. If you use WordPress, you know how easy it can be to do things like design your website or add new blog posts. However, sometimes you wish you had a bit more flexibility in some areas. A great tool for developing forms on WordPress is WPForms. With it all you have to do is drag and drop the form items into place, and you’re good to go. It also comes with some great features like being able to track your leads, easily collect payments, spam protection, and being mobile-friendly. Best of all it’s affordable, with the cheapest plans coming out to just a few dollars per month. As you can see, there are plenty of tools available to startups that are relatively affordable. You may not be able to afford the full-featured packages for all of these tools, but that doesn’t mean you can’t get started with the small plans and see which ones you like best. Then, if you discover that a certain tool is providing a lot of benefit for your startup, you can upgrade to a more feature-rich addition. So don’t let a small budget hold your startup back. Think about which tools would be the most beneficial to you, then see how much room you have in your budget. You’ll likely find that the return on investment for these tools is enough to wash out their initial cost, and you can continue to grow your business further.